Even though we’ve seen him recently in the Expendables movies, Arnold Schwarzenegger hasn’t headlined a film in ten years. 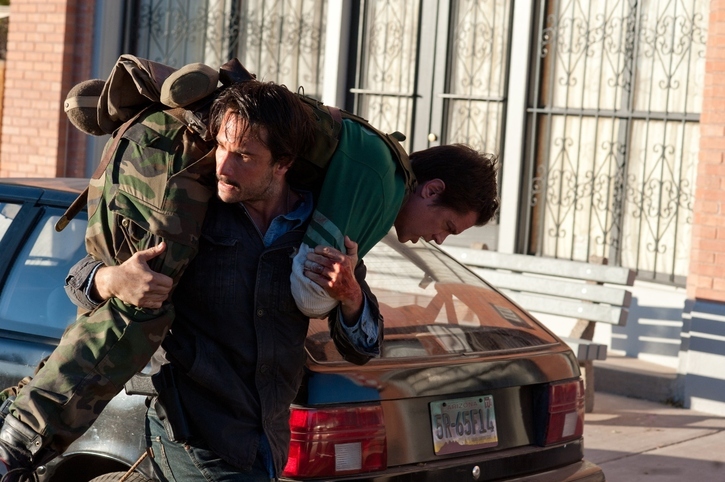 The Last Stand ends that drought and, for a little while at least, it’s a kick to see him commanding a movie again. As Ray Owens, sheriff of the quiet border town Sommerton Junction, AZ, Schwarzenegger looks like he just woke up and wandered onto the set. Sure, he gets to wield some big guns and throw some punches later on, but early in the film he appears charmingly tentative. That cautious, testing-the-waters attitude works for the film. What’s this lumbering Austrian immigrant doing as sheriff of a little one-horse town anyway? He interacts with the townspeople, trying to enjoy a relaxing day off. Even though these early scenes suggest a character-based, fish-out-of-water comedy, director Ji-woon Kim switches gears abruptly. FBI agent John Bannister (Forest Whitaker) heads up a task force assigned to transport notorious criminal Gabriel Cortez (Eduardo Noriega). After escaping via an elaborately staged segment, Cortez is speeding toward the Mexican border in a tricked out Chevrolet Corvette C6 ZR1. Don’t let the presence of Oscar winner Whitaker fool you—we’re stuck in what feels like direct-to-video territory during these sequences. And so begins a pattern that really hurts the movie. The scenes with Sheriff Owens and the people of Sommerton are generally fun, while the Cortez stuff is just by-rote action nonsense. The car is pretty sweet though. The sight of it burning up the desert highways at 200 mph supplies the most thrilling visuals of the movie. Even though a canyon separates Sommerton from the border, Cortez’s goons are working on a temporary bridge that will allow safe passage. Once Owens realizes that Cortez is heading his way, he rallies his motley crew of deputies and prepares for the showdown promised by the film’s title. These folks include Johnny Knoxville as the clownish Dinkum, Luis Guzmán as Deputy Figuerola, and Jaimie Alexander as Deputy Torrance. Each of these characters get their own little spotlight moments, but unfortunately most of the physical comedy falls flat. Besides, the lighter stuff feels increasingly out-of-step with the more generic, high-tech action involving Cortez. Let’s face it. 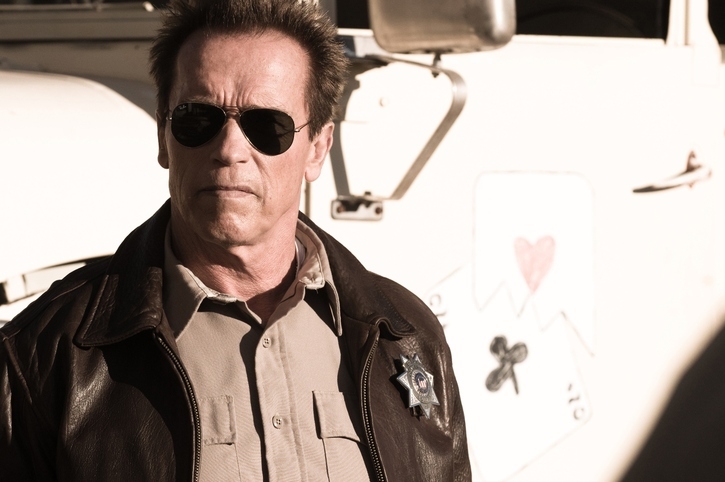 The Last Stand likely would’ve been dumped off on the home video market if it wasn’t Arnold’s big return to starring roles. In fact, I probably would’ve enjoyed it far more as a rental instead of plunking down for a cinema ticket. 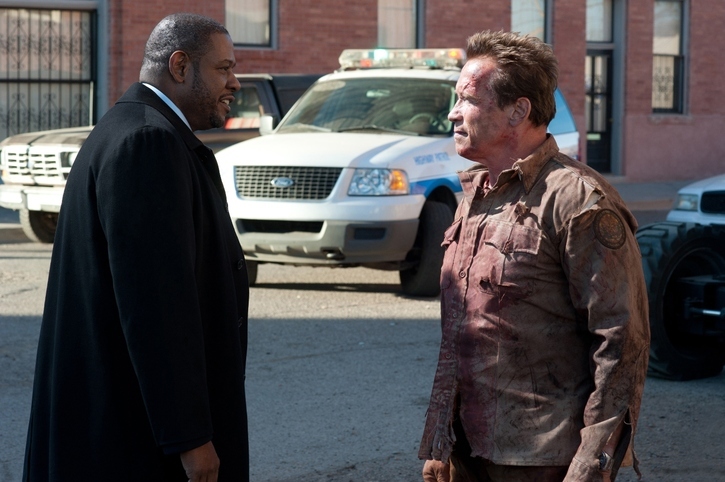 For fans of Schwarzenegger, the thrill of seeing him on the big screen slowly turns into disappointed embarrassment. This kind of film would’ve been beneath the Arnold of old. That’s not to say he had the Midas touch throughout his career, but there’s just no spectacle here. I wouldn’t be surprised if he signed on exactly for that reason—something relatively insignificant that allowed him to knock off the rust that accumulated during a decade away from acting. 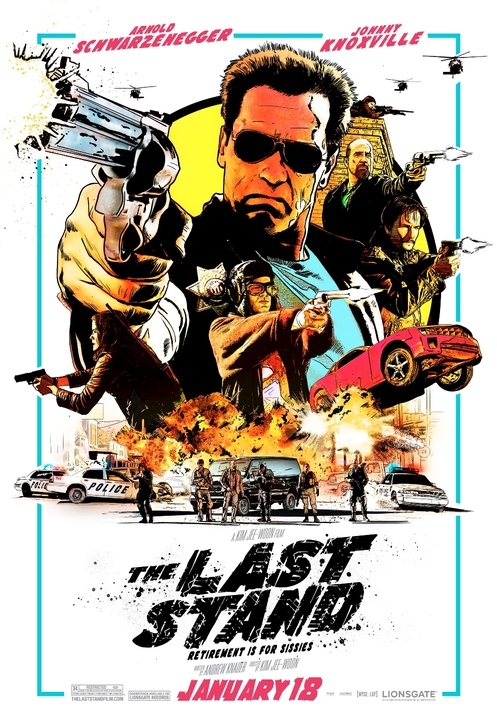 With a dismal opening weekend box office tally of about six million dollars, The Last Stand isn’t even a blip on Schwarzenegger’s (or anyone’s) commercial radar. I wonder if it was even worth the expense of putting it in theaters in the first place. Here’s hoping that his real comeback is just around the corner.